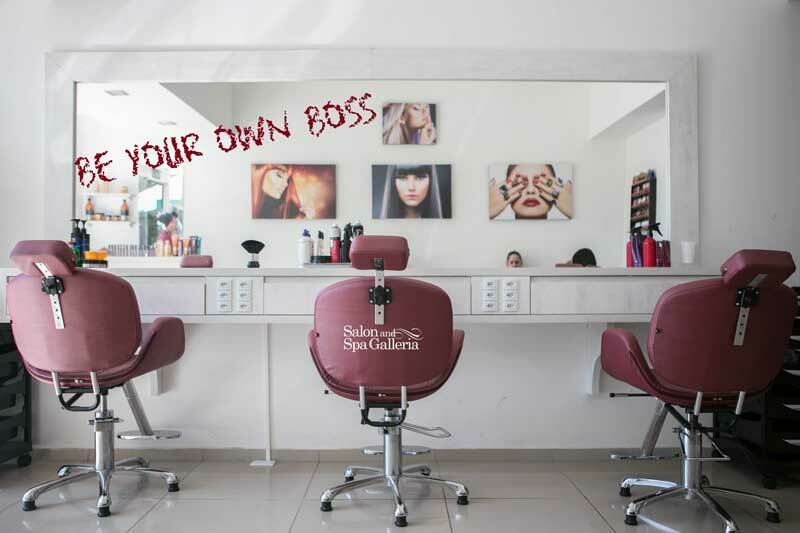 Here is a question for you to answer: would you rather rent a booth in a salon, or rent a booth in Salon & Spa Galleria? We don’t expect you to answer right away. Read this article, we will explain the pros and cons of both choices, and then call us at (817) 823-7105 for more information. Salon booth rental . . . When most beauticians think about renting a booth in a salon, they are thinking about the standard situation in most beauty salons where a beautician/nail specialist/massage therapist works in a salon owned by someone else and gets pain a commission on the work they do. It is a great way to get started in the beauty industry, but it is also a dead-end road financially. You will never get ahead working for a small percentage of the profits. Now let’s consider an alternative in the booth rental vs commission debate. Salon & Spa Galleria offers an alternative to the traditional approach. Here’s how it works at Salon and Spa Galleria. You rent a luxury salon suite for as little as $50 per week in some of our ten convenient locations. In other words, you sign the lease, you decorate your salon suite the way you want it, and you are in business, for yourself, no commissions paid, in a matter of a few days. This is, literally, a turnkey operation, one you cannot afford to ignore. And what is a salon suite? That’s a valid question from anyone who has worked in a beauty salon where there are five or six chairs in a common space, which is the standard set-up in most beauty salons. Simply stated, a salon suite is a separate room you share with no one else. It is your own salon business. You are listed on the directory where all suites are listed, you have a key for access to that suite, you have your own supplies, and you answer to no one else. Now which sounds better, booth rent or commission? If you made the obvious choice then you really need to call us at Salon and Spa Galleria. We are standing by to answer your questions and ease your doubts. We are standing by to give you a tour. We are locally owned and operated, and we will always be available to ease your doubts and set you on the road to financial freedom and independence.